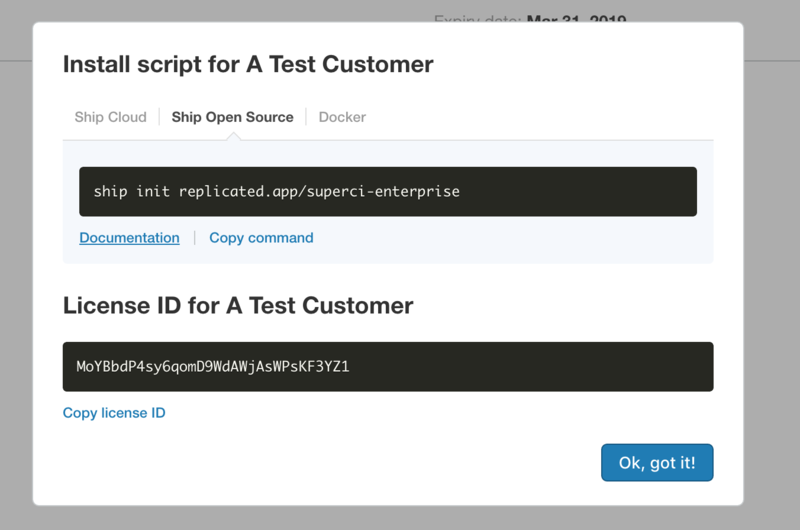 This is part 3 of a guide that walks through creating a sample application in Replicated Ship. If you haven’t followed the previous sections of this guide, go back to deploying an application before following this guide. Now that we’ve created a customer and a release, we can produce an installation script for our test customer. 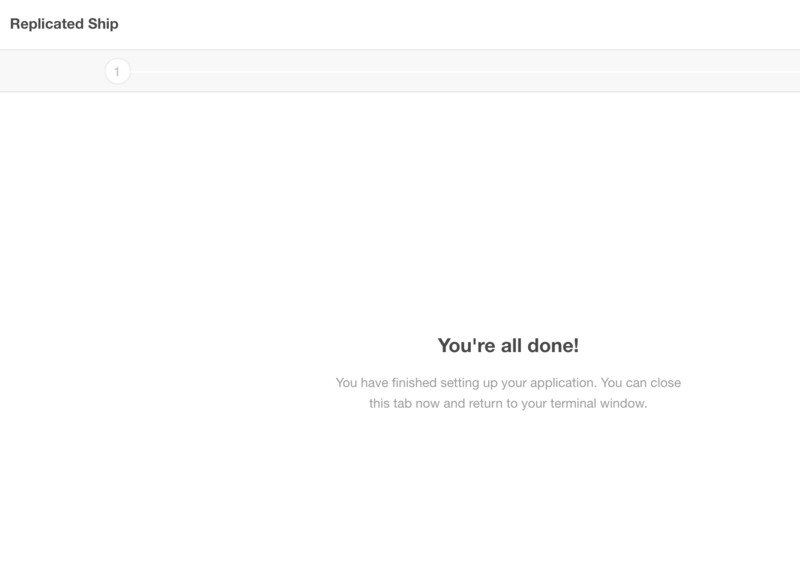 In the modal, you’ll want to navigate to “Ship OSS”. This guide assumes you’ll run Ship with Homebrew using brew install ship, or downloading the binary, but you can also run Ship with the replicated/ship docker container. Copy the command from this screen, we’ll run it in the next step. When your end customer installs your application, you’ll give them this command to run on their workstation. Our inline assets from above have been created under the installer directory. There’s also a .ship/state.json which holds metadata about the installation. We’ll use this state file later in the Shipping an Update chapter of this guide. Executing this installer script generated everything that’s needed to deploy our application to a Kubernetes cluster. But we need to bring a Kubernetes cluster, and should already have kubectl set up and configured to continue with the next steps. and we’re off to the races. If you’re on Docker for Desktop, the LoadBalancer service should get your nginx listening on port 80 on localhost. If you’re on a cloud-provided cluster, you’ll need to inspect kubectl get svc to find the load balancer IP. Now that we’ve shipped our first release, its time to work through Shipping an Update.